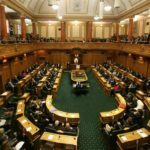 As a document leaked yesterday demonstrates the potential effect of the Trans Pacific Partnership Agreement upon sovereign rights, Professor Margaret Wilson at Waikato University says that changes to the structure of the state are already affecting New Zealanders’ abilities to influence decisions that impact upon their lives. In her book The Struggle for Sovereignty, a new addition to the BWB Texts series, prominent academic and former MP Margaret Wilson demonstrates how thirty years of a neo-liberal public policy framework have altered the nature of the New Zealand state. These alterations, particularly those responding to the pressures of globalisation, have weakened New Zealanders’ sovereignty over their own country, says Professor Wilson. Professor Wilson is a previous Attorney-General, Minister for Labour, and Minister Responsible for Treaty Negotiations, and currently holds a Chair in Law and Public Policy at the University of Waikato. She draws on her expertise to assess the ways in which the neo-liberal reforms since the 1984 election of the Fourth Labour Government have affected New Zealand’s constitution, its public service, its legal system, and its autonomy within a globalised world. Her book is published at a time when widespread public protest against global treaties such as the Trans Pacific Partnership Agreement is having little effect. 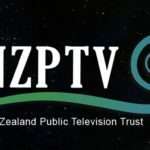 Wilson points out that “New Zealanders have always had a strong belief and confidence in their ability to influence events that affect them”, but argues that, in the future, this belief and confidence may simply not be enough to create real change. 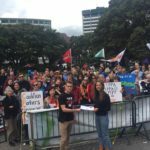 “New Zealanders must continue to engage in the struggle to retain sovereignty because it is essential to the maintenance of individual and community wellbeing”, says Wilson.